A complete sales effectiveness platform that can replace or plug into your existing CRM. Make it easy for your team to execute your sales process and enable salespeople to drive successful behaviors and improve with each deal. Equip sales managers with the tools needed to coach to higher performance. Continually optimize your sales strategy to gain a competitive advantage. 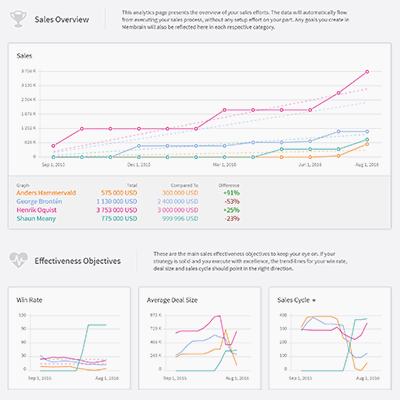 With Membrain your team will have all the tools to adopt the behaviors needed to increase their sales effectiveness and consistently reach their sales targets. Poor goal tracking and activity management result in failed ramp-ups of new hires and low quota-attainment for all. Unaddressed, this quickly becomes a million dollar problem, even with a small sales team. Membrain facilitates the understanding of what drives sales performance to consistently reach targets. 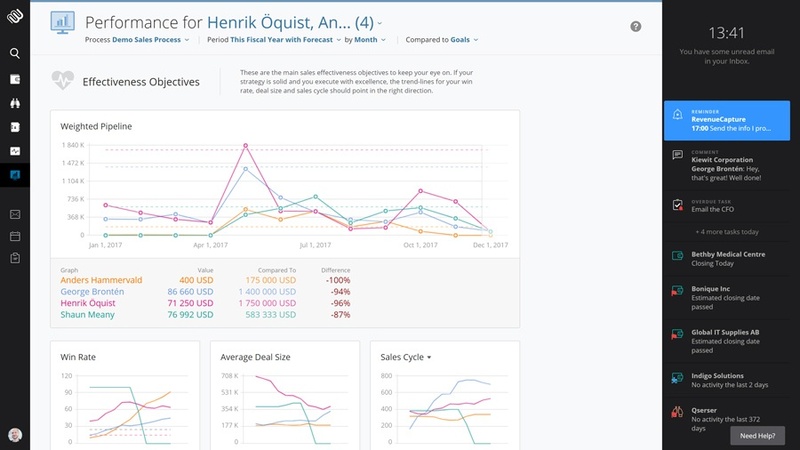 The software comes with intelligent sales analytics out of the box, making it easy to spot trends and quickly make needed adjustments to your strategy, tactics and coaching efforts. 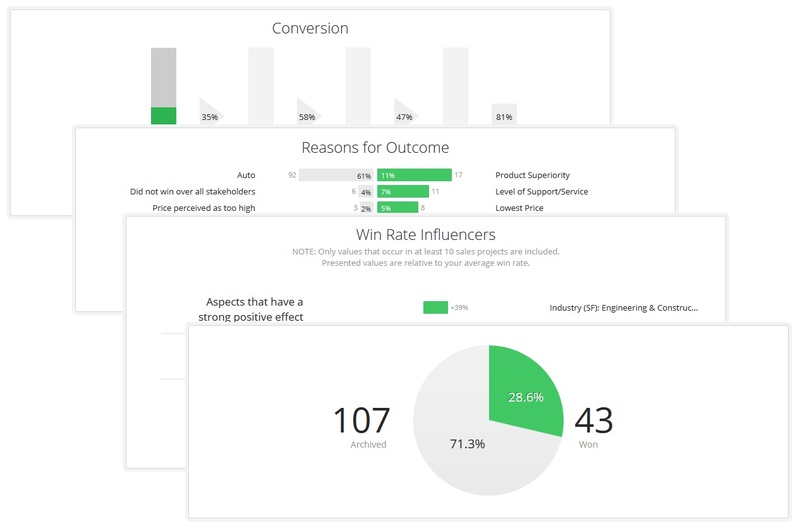 Easily track win-rates, deal size and sales cycles over time. With real-time access to the sales performance data that matters, you can focus on progress, not just activities. These insights power a data-driven approach that improves both forecast accuracy and win-rates. If you're not constantly evolving, you're losing ground to your competitors. Membrain lets you monitor success indicators and improvements over time with powerful trend analytics. 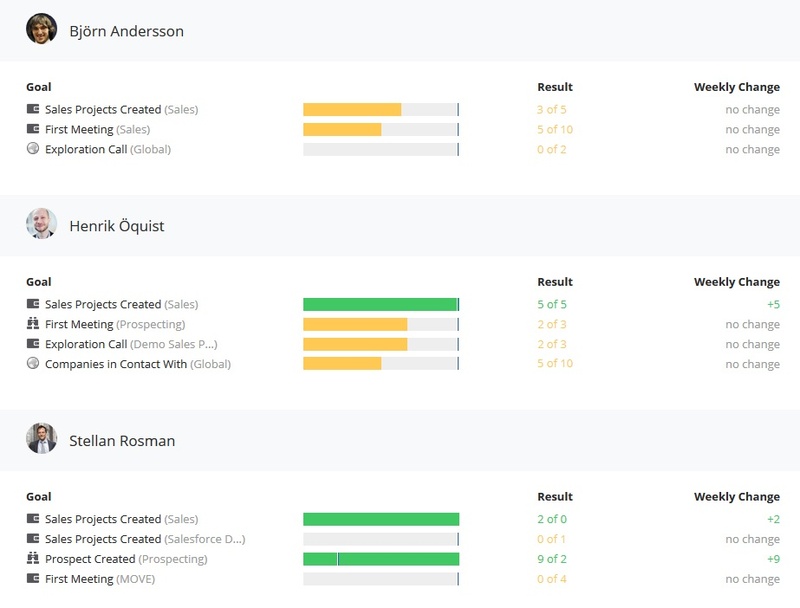 Use the win/loss analytics to understand why you win and lose. Detect your team’s strengths and improvement areas. Model the behaviors of top performers and share best practices by easily adjusting your sales process to improve forecast accuracy and win-rates. It's done in minutes, not weeks or months. Does everyone on your sales team know their goals and have a laser-focus to attain them? Are sales quotas broken down to objectives and activities that are easy to understand and follow up with on a daily, weekly and monthly basis? Membrain makes sure that all sales team members understand their goals and receives the guidance to continually reach their targets. Visualize progress towards sales goals, break down quotas into objectives and activities, always know the true status of your sales pipeline and capture the leading indicators that lead to success.